Meritxell Simon-Martin is a Marie Curie Fellow at Roehampton University. She is writing a monograph on Barbara Bodichon’s epist olary Bildung in collaboration with the Schools of Education at Roehampton University and at Goethe University (Frankfurt). She is also Research Associate at the Institut des Textes et Manuscrits Modernes (ITEM), Ecole Normale Supérieure de Paris, where she carries out a critique génétique project on Barbara Bodichon’s feminist publications and a translation of her works from English into French (Classiques Garnier). The following was originally posted on Meritxell’s own blog. On 19th May I attended the Academic Job Boot Camp sponsored by History UK and supported by History Lab at the Institute of Historical Research in London. What a great event!!! It shows a genuine willingness from the part of the organisers to make transparent and comprehensible the process of recruiting early career researchers. I truly appreciate the opportunity I had to learn both from the organisers and the other candidates! In order to participate, some weeks before the event I applied for the imaginary lectureship in history that the organisers had created. I sent my CV and cover letter as we would normally do for a real job application. I also prepared a 5-minute presentation on how my research informs my teaching. The day of the workshop we had the opportunity to take the steps real shortlisted candidates go through: the 5-minute presentation on teaching, the face-to-face interview and the interview lunch. The best of this mock application was that we had the opportunity to get tailored useful feedback, not only from organisers but also from peer participants – the latter wrote anonymous comments. Which positions should you apply for? For any lectureship in history really! Newly awarded PhD candidates are rarely offered permanent lectureships, but a fixed-term position may lead to a permanent one. Also, the job description might focus on a sub-field in history out of your scope of specialization but, believe it or not, sometimes recruitment committees simply end up making up their minds for the best candidate, regardless of her field of expertise. Why don’t give it a try then? 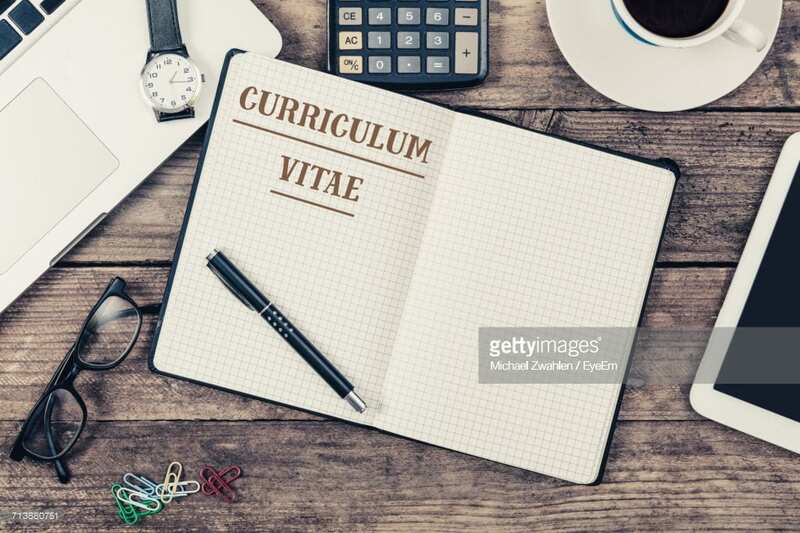 What should your CV look like? Academic CVs are long. They can have up to 10 or 15 pages. But recruitment committees have piles of CVs to read on their desks. So, a good academic CV is one that provides two readings: skimming and in-depth scrutiny. Panellists will first scan your CV to decide whether to place it on the “maybe shortlisted” pile or to the “definitely no” one (i.e. the bin!). In order to help them take this first decision, a CV should show clear headlines with key words in bold. If they are interested, they will want to know more about the different academic experiences you put forward. The CV should therefore provide short paragraphs explaining these outcomes and skills. Don’t forget to highlight what research you will be submitting for the REF. If you run a blog or are a social media user, make sure you upload an updated version of your CV! What should your cover letter look like? Contact the head of the committee only if you have a specific question about the position. Otherwise, write a catchy 2-page cover letter addressing the criteria of the job description. Do some on-line research on the institution, the department in question and its members. The cover letter should look like a presentation of the skills you have and how you can contribute to the department’s curriculum and research output. Be succinct, use an engaging writing style and make sure you proofread the text for spelling, typos and… the right name of the institution! If you have a template cover letter and you adjust it to specific positions, make sure you name the appropriate university! Ask colleagues and friends to read it for feedback. And ask yourself: is this the self-image as an academic I want to convey? How should you prepare for the presentation and interview? Reread the job description and the skills they are looking for in the future colleague. These rereading will give you a sense of the possible questions you might be asked. Think of 3 or 4 messages you would like the panel to retain from you: An award-winning-book author? A researcher capable of attracting funding? An international versatile team worker? Then think of at least 2 questions per section (e.g. teaching, research, yourself as a colleague, public engagement) and prepare an answer that includes these messages. The idea is to have a clear view of how you want to project yourself (how you wish the panel perceive you) and transmit this image via the messages you include in your answers, no matter what the question is. Frame your answers in a way you convey these self-presentation messages but don’t forget to fully address the question asked though! You can also prepare a sheet describing a teaching course: with its title, content, objectives, timescale, assessment, pedagogical approach, the module is part of, etc. If you have the opportunity, you can distribute this handout to the panellists when discussing what courses you could contribute to and how they would fit within the department’s curriculum. 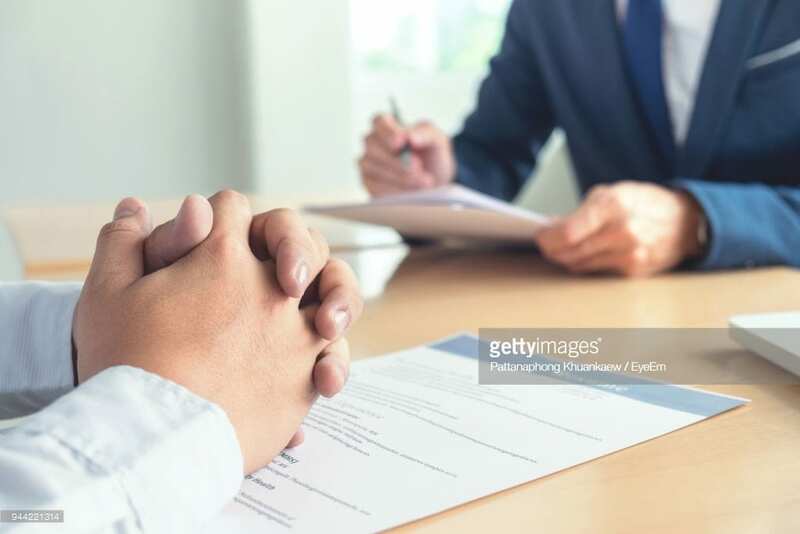 How best to perform in the interview? Don’t take for granted panellists have read your CV. It is often the case they are given information about the candidates only hours before the interview! Think of the key elements of your CV you want them to retain and mention them during the interview. Don’t focus too much on past achievements. Convey rather an enthusiastic but realistic mid- and long-term statement of ambition. What are your book projects? Be specific about what you will submit to REF and why you think it is going to be 4*. How do you envision strengthening your teaching skills? What are the skills you want your students develop and how are you going to achieve this? Be specific about your teaching approach. How you mean to lead, design, run and assess courses and modules is as important as what you can or intend to teach. Can you prove you are a skilled and inspiring lecturer? Quote from students’ feedback questionnaires! When answering questions, frame your replies positively: show how unique you are and turn any weakness in your CV into an asset if presented from a different angle. Be respectful when referring to former work places and colleagues and be polite to the panellists. Remember they will ultimately be asking themselves: Will she be an easy-going department colleague? Is she a lecturer likely to raise complaints among students? Ultimately, if you are asked if you will take the job, say yes! Make sure you show them you really want to work with them! If you are not shortlisted or you were not successful during the interview stage, don’t take rejection personally. Some recruitment committees provide constructive feedback. Use this precious information to think about how you can do better next time! Having said that, each university has different recruitment criteria and often panellists disagree on who the best candidate is. Conclusion: take on board criticism to ameliorate (self-improvement should be a personal motivation throughout our lives anyway!) but be yourself. Sometimes it is simply a question of connecting with people spontaneously, of being in the right place at the right time. I hope you find these tips helpful. If you want to test them live, sign up for next year’s edition of the Academic Job Boot Camp! Best luck to candidates, including myself! 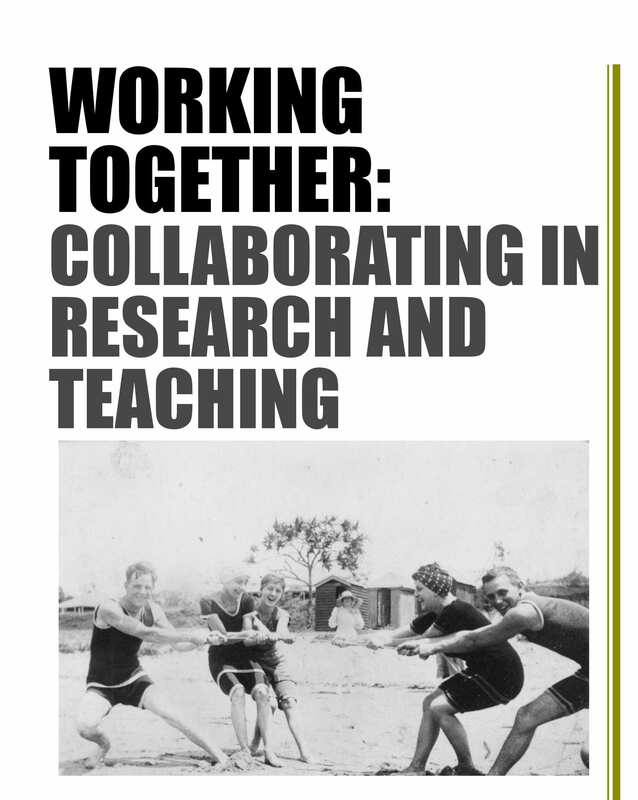 Over the past few months, HUK have been working with The National Archives to update the Guide to Collaboration between the Archive and Higher Education sectors that was first published in partnership with RLUK in 2015 and will know that a project is underway to refresh the guidance to reflect key developments in the academic landscape, notably, REF, TEF and Doctoral Training Partnerships. The refresh has been undertaken in partnership with TNA and has been led by Paddy McNulty Associates. In addition to the above it will be a great opportunity for people from both sectors to meet and network. 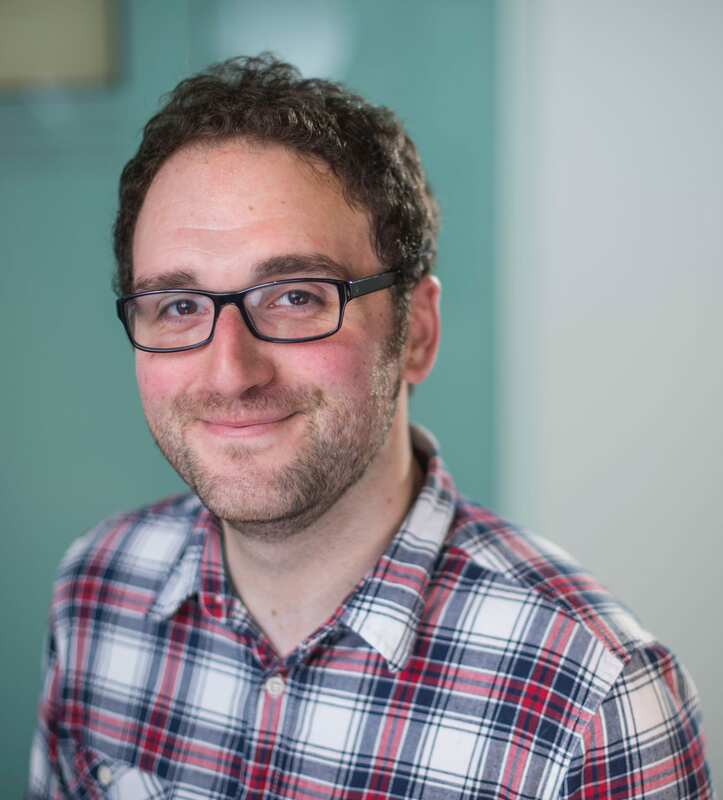 Dr Simon Peplow is the new ECR representative on the History UK Steering Committee. He is currently Lecturer in History (Education and Scholarship) at the University of Exeter, and tweets as @simpep. In this blog post, Simon sets out his views on how he sees this role and his plans for the coming year. As another teaching term begins, I return to my busy calendar having actually been able to have some ‘downtime’ over the Christmas break, away from the usual teaching/marking/research pressures – albeit this being enforced downtime, due to developing a particularly nasty cold. Debate has raged (on Twitter, as it often does) over the hours that academics work, and whether you are ‘failing’ at academia if you either work on evenings/weekends or maintain a strict 9–5 working week. However, the point I wish to make here is simply that the ability to take some time off, safe in the knowledge that a job (and salary!) awaits our return, is for many of us not something we are able to enjoy during the summer months. Having completed my History PhD at the University of Exeter in 2015, I have since remained here on short-term teaching contracts. While I have been, in many ways, fortunate that such opportunities were available, the pressures (both financial and psychological) of fractional temporary contracts and the inability to plan further than the short-term is something with which I have battled. An increasing amount of my time has been spent on job applications, chasing potential funding opportunities, and being unsure what the next academic year will look like until just weeks (or even days) before it begins. Prior to commencing my PhD, the one issue that I was repeatedly warned about was that it was a lonely existence; that the duration of my PhD years would be spent alone in empty libraries or dusty archives, only occasionally seeing others when we periodically emerged blinking into the light for a monthly research seminar or supervision meeting. Fortunately for me personally, the PhD experience was far from that, being a generally enjoyable period – with the usual intellectual/other challenges – and I consider many of those whom I met during those years to be among my closest friends. However, I am aware that my positive PhD experience is not necessarily the case for others. I was reminded of my privileged position in this sense when reading Laura Sefton’s recent excellent comments on mental health and academic structures, demonstrating the often unacknowledged pressures of PhD study and the need for academia to become a more ‘accessible, inclusionary, and caring space’. Unfortunately, in my experience, many of the same pressures exist when transitioning into a more precarious ‘floating’ ECR position, when you might even have lost access to some of the support systems that previously existed. The History UK plenary and AGM in November 2017 focused on collaboration, and that is very much the spirit in which I see this ECR representative role. As I have previously noted in discussion of the ‘Academic Boot Camp’ event, it is all too easy to see academia as a competition against peers in the race to obtain a permanent job, and to consider yourself a ‘failure’ if one is not forthcoming. However, it is of vital importance that PhDs/ECRs/academics of all levels support each other where possible, and it is often through bodies such as History UK that such support can really make a difference. Indeed, in the last year, History UK has organised another instalment of the Academic Boot Camp to help equip PhDs/ECRs for the job market, further New to Teaching events have provided invaluable advice and support for those beginning or developing a university teaching profile, and other events and activities have supported historians at all stages of their careers. It is in this vein that I hope to use my role to provide helpful advice and support for history PhDs/ECRs in the coming year. This will involve writing blogs and encouraging friends and colleagues to contribute posts and advice on a range of topics, such as balancing teaching and research, finishing the PhD, creating and obtaining a position on postdoc projects, the benefits of engaging with the public through research, and the many options available outside of academia. This is, of course, in addition to acting as a voice for PhDs/ECRs in History UK meetings and discussions – and I please encourage anyone to get in contact with any thoughts or suggestions. Due to a variety of factors, the pressures on academics at all levels are arguably higher than ever before – but, as always, the best way to get through them is with the help of support networks that can be provided by bodies such as this one. Simon Peplow is the new ECR representative on the History UK Steering Committee. His AHRC funded PhD was on the 1980/81 disturbances in England, examining the perception and role of public inquiries and local Defence Committees. He is currently Lecturer in History (Education and Scholarship) at the University of Exeter. Simon tweets as @simpep. In May 2017, History UK ran the second instalment of their ‘academic boot camp’, which provided valuable interview experience for PhD students and Early Career Researchers (ECRs). A number of academics had kindly donated their Saturday so that around twenty of us, who had been shortlisted for an imaginary lectureship and subsequently travelled various distances to the Institute of Historical Research, could participate in and observe interviews and presentations, receiving detailed feedback and advice. Charlotte Faucher detailed the first event of this type last year, including the range of questions she was asked, and some advice given on how to respond. My experience of this aspect of the workshop wasn’t hugely different, other than facing questions regarding how I might contribute an impact case study – emphasising the importance of effectively demonstrating the public significance of research. So, rather than simply repeating her thoughts, I will focus more on the presentation aspect – both of participants, and Dr Sara Wolfson’s ‘10 tips for getting an academic job’. Participants were asked to produce a short presentation on ‘How Does your Research inform your Teaching Practices’? This type of question is standard for job interviews, inviting introductions to research, what applicants can offer in terms of teaching, and what form such teaching might take. Unfortunately, due to suffering from a cold, my own presentation could have gone better…but learning to adapt to things outside your control is itself an important lesson! Academics and other participants provided written feedback for each presentation, with recurrent themes appearing to be regarding structure, relation to the question posed, and ensuring that historians of other periods/topics can appreciate what is significant about your work. After the traditional academic coffee break, interviews and presentations were followed by Sara Wolfson’s tips for securing an academic job, which included targeting conferences to increase your profile, obtaining funding to organise conferences/workshops, and the benefits (and potential risks!) of an active twitter profile. Having provided advice articles for jobs.ac.uk, Sara was also awarded the Times Higher Education’s ‘Most Innovative Teacher of the Year’ 2016, and her presentation included the importance of maintaining high-quality teaching; refreshing for those of us uncomfortable with advice obtained elsewhere essentially suggesting ‘putting the least amount of effort possible into teaching and focus on building your CV’. Whilst implementation of the Teaching Excellent Framework (TEF) has been at best controversial, universities should certainly consider teaching ability more so than they have in some previous cases. Sara’s presentation was followed by discussions where other academics also provided suggestions and answered questions, and both sessions were extremely helpful. The main takeaway from these discussions was that there are many different pathways to obtaining jobs, both inside and outside of academia, and you must follow whichever you believe best. As Charlotte concluded about last year’s event, the knowledge that there are many different paths to success is indeed a reassuring reminder and key value of this workshop. A subsequent pub trip and meal for those who could make it was only slightly ruined by my having to rush off mid-food to catch a train. This ‘networking’ (a word I personally hate) aspect was just as useful as the rest of the day in reminding that, whilst at times it may feel like you are the only one struggling with the difficulties of late/post-PhD life, this is most definitely not the case. Whilst we are conditioned to believe that ECRs are in constant competition for jobs, academia has been criticised for its tendency to ‘eat our young’ – and we shouldn’t be adding to that. The value of this workshop has been echoed by those who attended it, variously described as ‘super useful’, ‘a great day’, and ‘very helpful’. It personally helped me to obtain a number of interviews this summer, as well as preparing me for what to expect when it came to actually arriving at various different university campuses on interview days! Dion Georgiou described the value of the 2016 academic boot camp event. The main training required by post-PhDs appears to be the ability to ‘hang on in there’. It is all too easy to be disheartened by a lack of success in job applications, particularly in the early days whilst often receiving the standard response that your application hasn’t been taken further and, ‘due to the high number of applications received’, no feedback will be provided. Ben Mechen recently explored the precarious nature of PGRs/ECRs, considering how such a position could affect the kinds of history we write. 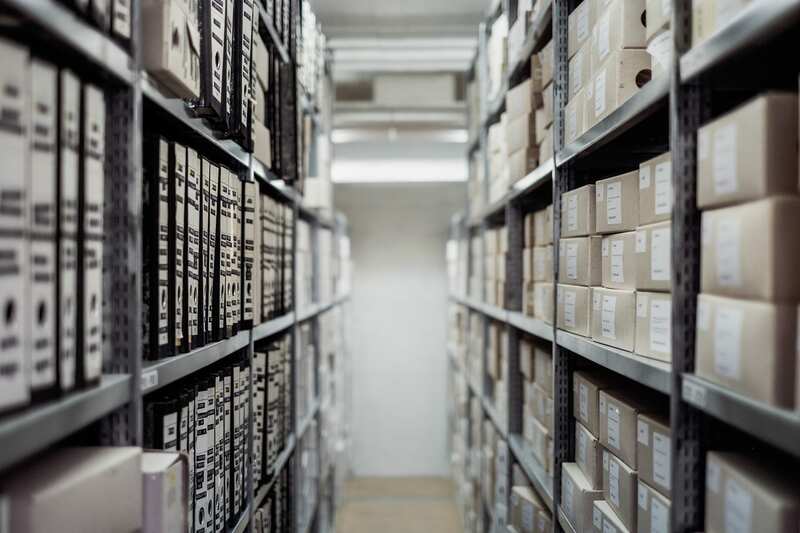 The lack of job security is one of the main reasons for more-than-qualified colleagues to move outside of academia, and will undoubtedly continue to be the case in a world where there are far too many excellent applicants for the jobs available. For those determined to obtain an academic job; whilst it may appear to be a particularly bad time to be coming out of a PhD, it is important events such as this Boot Camp – and the confidence and relationships that can be obtained through attending – that, to continue the military theme, prepares PhDs/ECRs for the battles to come. Universities face much uncertainty over the coming years because of Brexit. We want your help to spread information about how Brexit is affecting you! The aim of this blog is not to take sides in debates about Brexit. Instead, we wish to present this as a platform where historians can exchange information about how Brexit is affecting us personally and professionally, as individuals and within our departments and universities more broadly. Groups like Scientists for EU have very successfully gained wider coverage about scientists’ views on Brexit. This means that much of the coverage and government interest in Brexit and Higher Education has focused on how these issues affect scientists. While we admire their success, we partly wish to provide an alternative voice, to remind politicians and the general public that Britain’s university sector is a diverse community. This has inspired us at History UK to offer a platform for historians and History programmes throughout the UK to express their views. In order to do this, we need your help. All you have to do is send us a short email or tweet. This can be anecdotal evidence about your experiences or links to relevant research or articles. 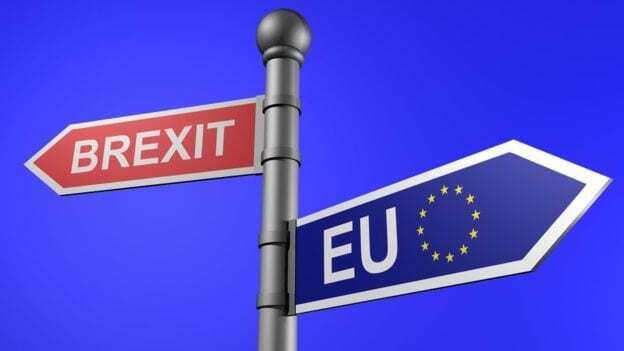 We want to know about how Brexit is affecting funding, travel, and future plans, both at an institutional level and at a personal level. We will use this blog and our Twitter feed to provide a forum for the exchange of such information (anonymously, if desired). History UK will also draw on your evidence to inform our activities as we negotiate Brexit, the upcoming REF, the introduction of Teaching Excellence Framework, and a variety of other proposed changes to Higher Education in the UK. This will help us present History experiences and views to the wider public and policy makers, ensuring these potentially seismic shifts in Higher Education recognise the importance of one of the most popular subjects in the UK.